After whipping up a batch of good old kiwi pikelets for Sunday lunch I sat down with hubby to enjoy a fresh coffee and the results of my not so shabby culinary skills. As I sat down a National Geographic documentary was running about the making of Star Trek. Given my age my curiosity was piqued and before long I was totally absorbed in the programme being a long time fan of the well known show. In 1963 Gene Roddenberry, an ex WW2 fighter pilot (decorated with the Distinguished Flying Cross and Air Medal), followed his passion for science fiction writing and created the first Star Trek pilot. Despite his success in TV script writing to date getting a studio to take on his work proved challenging. With the help of a producer NBC finally agreed to give them a gap for a Pilot for the show. The first Pilot never took off and was rejected by NBC as “too cerebral”. However, Roddenberry was later given another shot to launch a second pilot. By that stage their leading man was more interested in the movie world than television which opened the door to William Shatner and with the exception of Leonard Nimoy, the fabulous Mr Spock, just about the entire cast was changed out. The second pilot had outstanding success and progressed to a series which Shatner, Nimoy and Takei took the U.S.S. Enterprise crew on it’s five year mission to “boldly go where no man has gone before” in the far reaches of the galaxy. Three series of Star Trek would go to air despite NBC threatening to cancel it again. Roddenberry lobbied his loyal fan base and encouraged them to in turn lobby the network to keep the show on the air. His tactics included the bold approach of having individuals personally telephone the Network Chief to show support for the show. 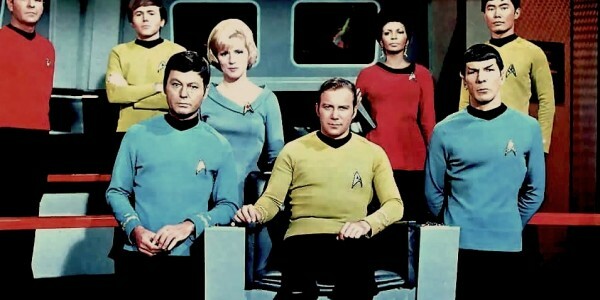 Although Star Trek found a loyal cult following it was finally cancelled in the summer of 69 after 79 episodes. Early 70’s Star Trek went to worldwide syndication and became readily available on the re-run circuit world wide. This is where it got it’s real following becoming a family name and the first Star Trek Convention got off the ground in 1973. So, there you have it. The highs and lows of Star Trek in all it’s glory – the condensed version. Who would have thought that a show that started off with so many ups and downs would end up being the evergreen creation that it is today? There are some important lessons to be learned here. Can you see them? Firstly, don’t give up at the first hurdle. If Roddenberry hadn’t been stubborn in his belief that he was on to something good we would never have been transported to those outer galaxies week after week in my youth. If something doesn’t work, don’t be afraid to change it and try again. The whole cast barring one was changed out for the second pilot and turned a failure into a success overnight. Look for different ways to get your point across. Roddenberry lobbied his followers to lobby the Network to keep the show on air and he took them right to the source – the Network Chief. Don’t be dismayed if success isn’t immediate. Star Trek ran 3 series (79 episodes) with mixed reviews. It’s outstanding success never really came until syndication in the 1970’s. Be open to other opportunities. Whilst Star Trek was originally created for television viewing it proved a great opportunity for the movie screen.